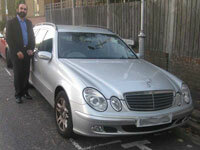 At Airport Cars St. Albans we pride ourselves on our range of vehicles. We often use MPVs as they are particularly spacious, but also offer the options of Mercedes E-class and saloon cars. This vehicle is our car of choice, due to it’s ability to seat up to 6 people in comfort and carry their luggage. It is fully air conditioned, spacious and extremely comfortable for all passengers. This car is used for special occasions, it is more expensive but offers a higher level of comfort and luxury. Prior notice is required as this vehicle is extremely popular with our corporate clients. 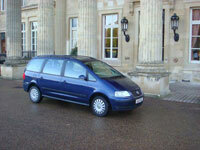 This is our standard vehicle for small groups, offering excellent value for money.